In the applet below, note the triangle and its 3 large white vertices. You can move the vertices anywhere you'd like at any time. The pink slider controls the size of the (soon-to-appear) pink angle. Interact with this resource for a few minutes. 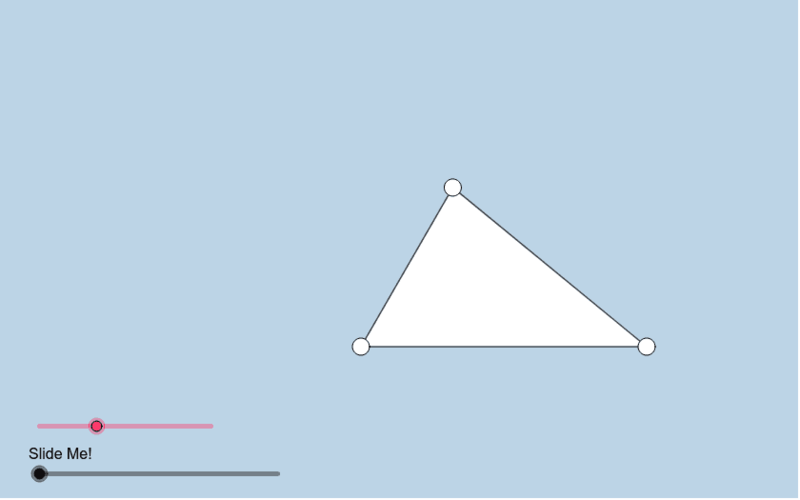 As you do, be sure to move the vertices of the triangle around each time before re-sliding the slider. Please answer the question that follows. What can we conclude about the SUM of the measures of the pink angle, blue angle, and green angle (i.e. the 3 interior angles) of this triangle?